Women of the Cloth are delighted to be returning to Sprout Community Arts in Furzedown for the fourth year. 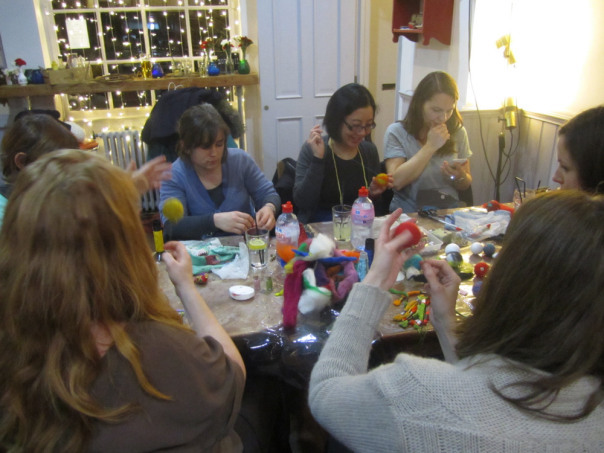 Carol Grantham will have some lovely nuno felted pieces and will be running her ever-popular workshops on mirror embroidery, nuno felting, making felt slippers and a special after-school workshop focusing on tassels and pompoms. 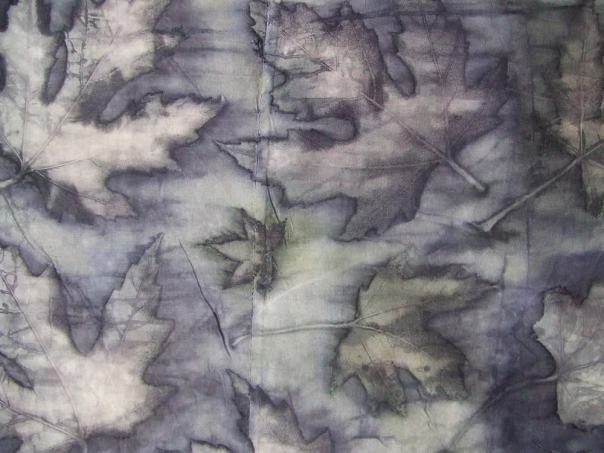 Kim Winter will be showing her latest batch of upcycled hand dyed indigo shibori scarves, along with a new product line of ecoprinted clothing and accessories. 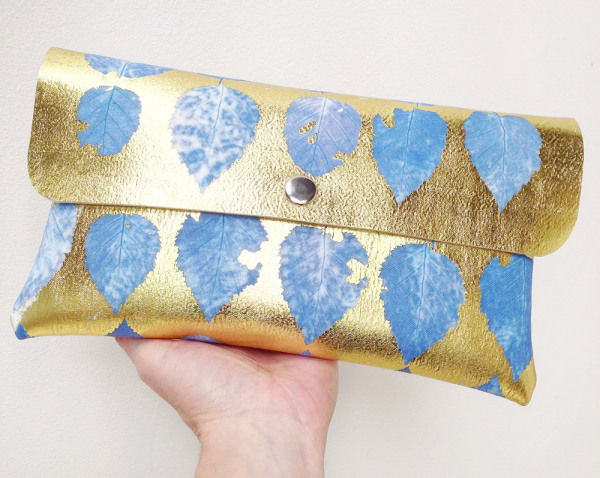 Ecoprinting uses real leaves bundled up with fabric and steamed or simmered for a few hours – the prolonged contact with the fabric results in the foliage leaving marks on the fabric. Gabriela is an artist and maker who creates prints, greeting cards, jewellery and scarves with images inspired by memory, nostalgia and a love of everything vintage. 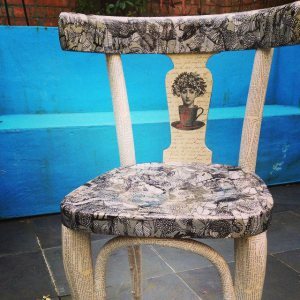 Gabriela will also be running a decoupage workshop and demonstrating how to upcycle furniture with Carol. 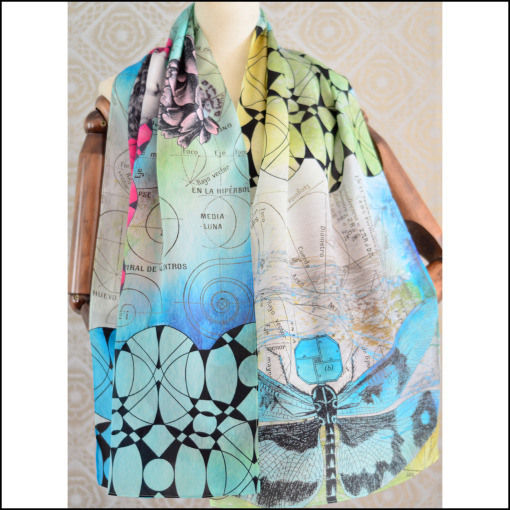 Anna Jackson of Black Cactus is a textile artist and designer maker specialising in printing. Lush texture, colour and enjoyment of the raw material are all expressed in her pieces. AnotherEarthling is the work of Mary Jones, a 3D textile artist from north London. 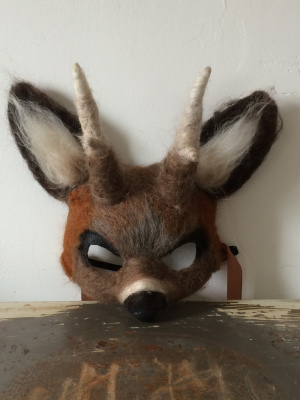 Inspired by a love of the woods, Mary uses the needle felting technique to make a range of animal forms, from tiny creatures that rest in your palm to life-sized animal sculptures, an ethical alternative to traditional taxidermy, and a huge range of animal character masks. 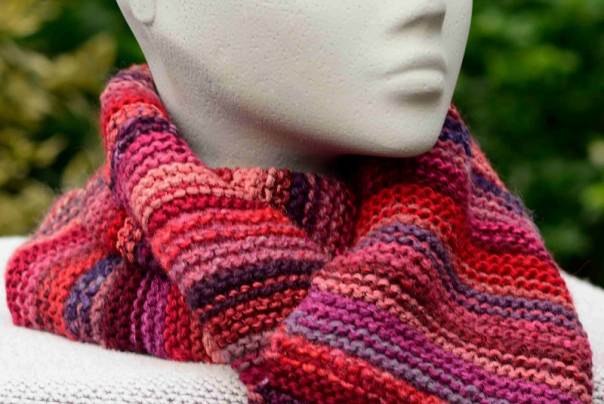 Loren knits scarves and snoods using one-off combinations of colours and yarns. She also makes jewellery using vintage beads, and sparkling Christmas ornaments. As mentioned above, they will also be running several workshops at Sprout – details below. Prices include all materials. Places are limited, so please book in advance on Eventbrite. 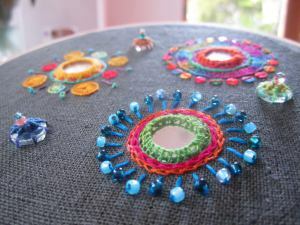 Spend an enjoyable evening learning to stitch on little Indian mirrors to add adornment to your stitching projects, then add rings of different stitches around them using colourful threads and beads. 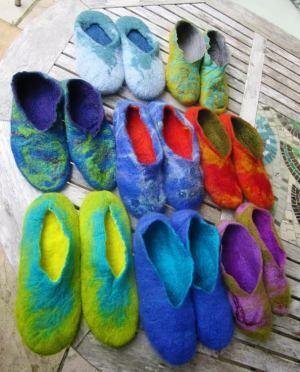 Make a pair of handmade felt slippers using soft sheep fleece, soap and water. Choose any colours you like to suit you and your style. The beauty of making felt slippers is that you can finish shaping them on your own feet for a perfect fit. They are warm and breathable, light as a feather and so comfy you’ll hardly know you’re wearing them. It’s like having your feet hugged (according to one of Carol’s workshop participants!). Sculpt with wool! 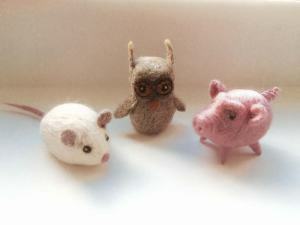 In this workshop you will learn to make an adorable unique needle felted small animal with Mary. All it takes is wool fibre and a barbed needle – fun, easy and very satisfying! Transform a pair of boring, plain shoes into something unique and eye-catching using just paper and glue. 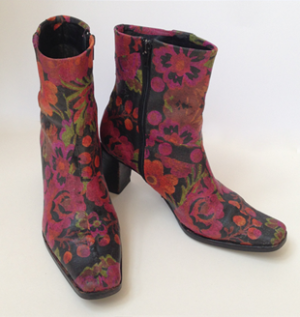 During this workshop, you will select papers from Gabriela’s extensive collection to transform a pair of shoes into your unique creation through decoupage. Gabriela will guide you through the design process and show you all the tricks involved in applying very thin paper to a flexible surface. Bring an old pair of shoes or sandals made from leather or plastic, with as little embellishment as possible. If in doubt, bring a couple of pairs and we can choose the best one once you’re here. Carol and Gabriela will demonstrate how to upcycle old furniture very economically, using paint effects and decoupage. They will be on hand to answer questions and share tips, and tell you all about their first furniture upcycling workshop next January. 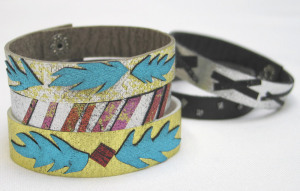 Make a unique collection of metallic wrist cuffs with Anna. Design six pieces in the patterns and colours of your choice to create your own fabulous selection of wrist candy. Tools will be on hand for you to ensure they are a custom fit. An original gift idea, if you can part with any of them! 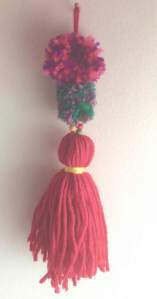 Using colourful yarns, threads and beads we’ll make a selection of tassels and pompoms to make into a charm which you can hang on your bedroom door handle or on the handle of a bag. Nuno felting involves fusing wool and silk fibres onto fabric to create texture and strength, using just soap and water with rubbing and rolling. In this workshop you will create a few small samples with different fabrics, then make a pair of beautiful silk and wool wrist warmers. 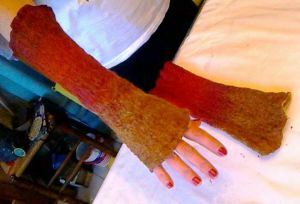 No more boring gloves! 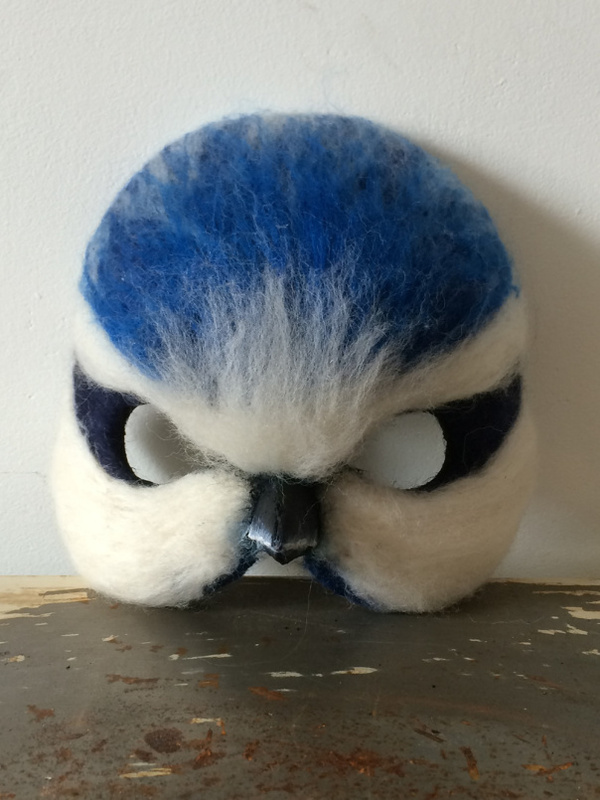 In this workshop you’ll learn to make a beautiful, unique animal character mask with Mary. These masks are full of life and expression – they can be also be worn on the forehead as a headdress, perfect for festivals, wild nights and masked balls. Copyright © Sprout Arts 2010-2015 All rights reserved. Sprout Arts is a trading name of Sprout Community Arts Ltd. Registered in England, No.07310483. Registered address:74 Moyser Road, London, SW16 6SQ.